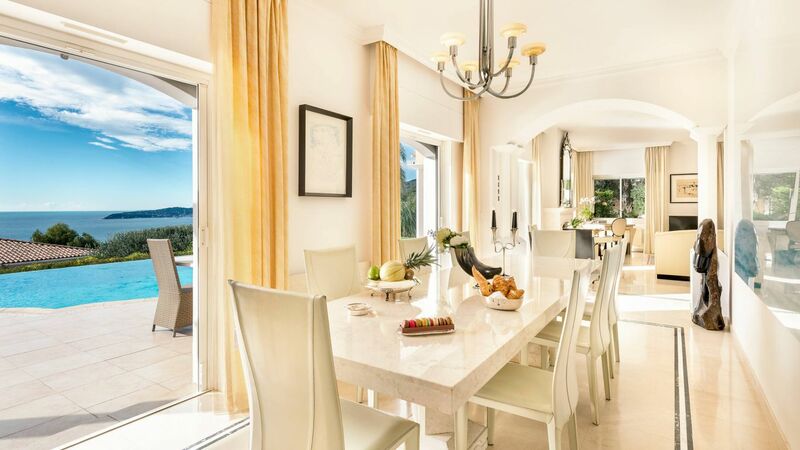 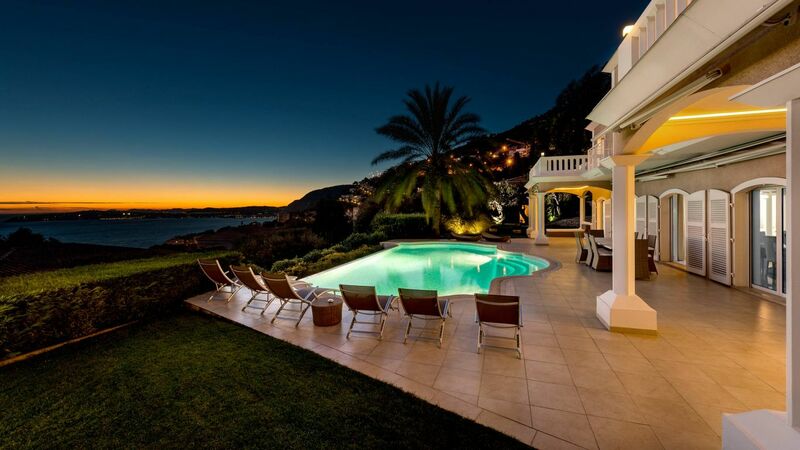 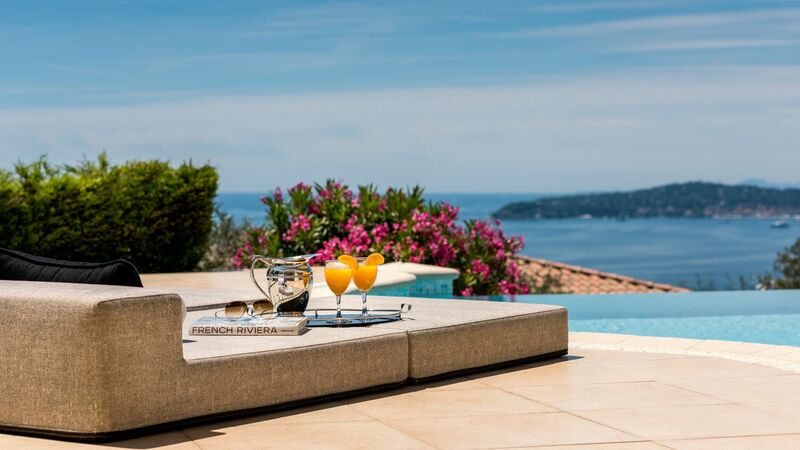 Villa Desiree, a high-end villa situated in Cap d'Ail, is a harmonious blend of luxury, tranquillity, and seclusion. 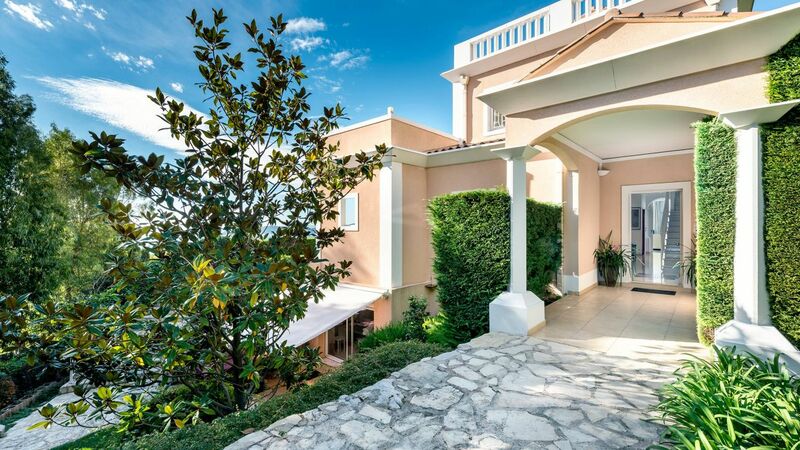 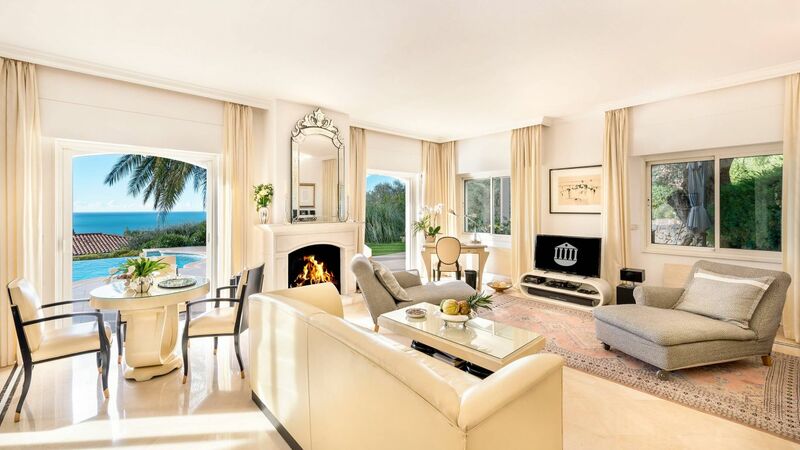 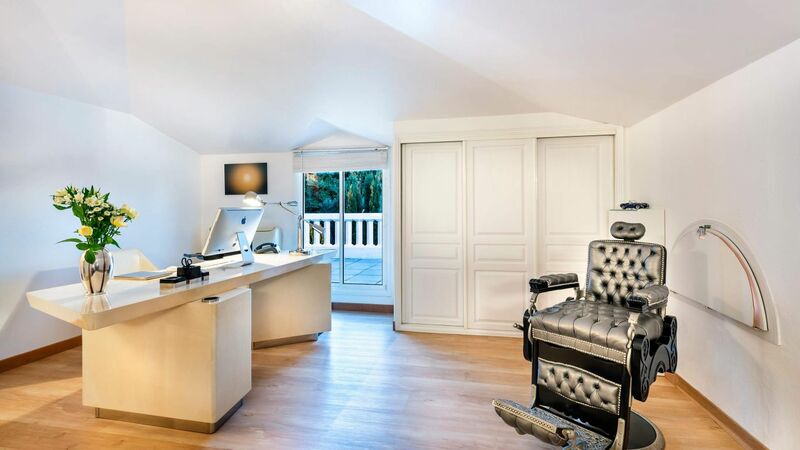 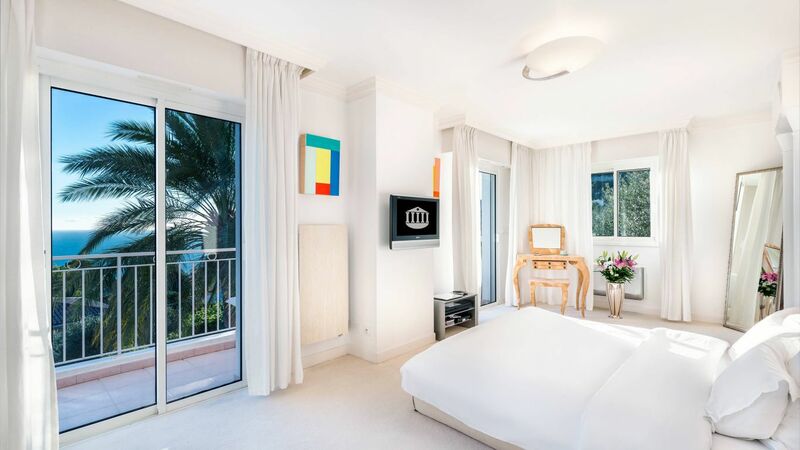 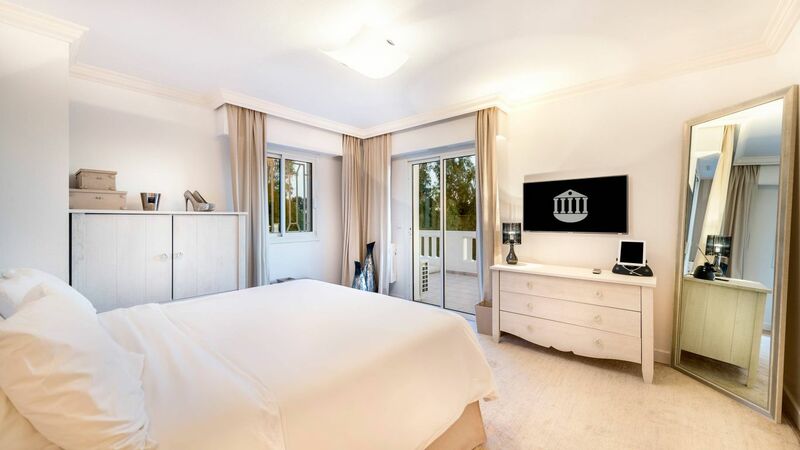 Located in a 3-minute drive from the vibrant and dynamic life of Monte Carlo, this rare property of 4,000 sq.m. 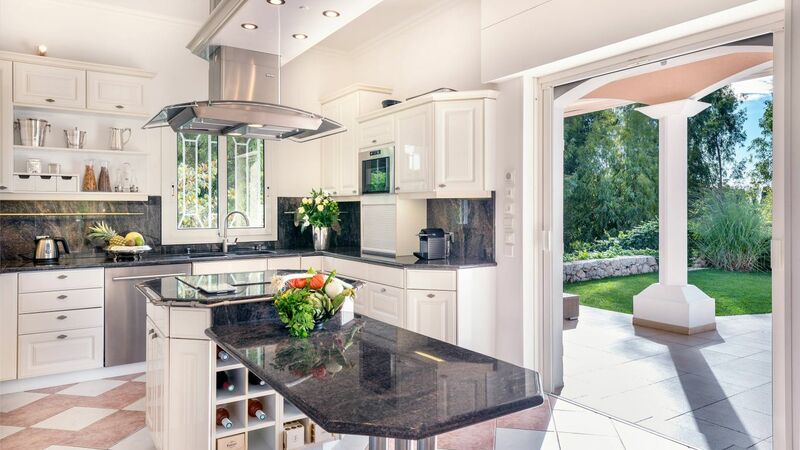 is placed in a context of peace and protection monitored by a sophisticated alarm system. 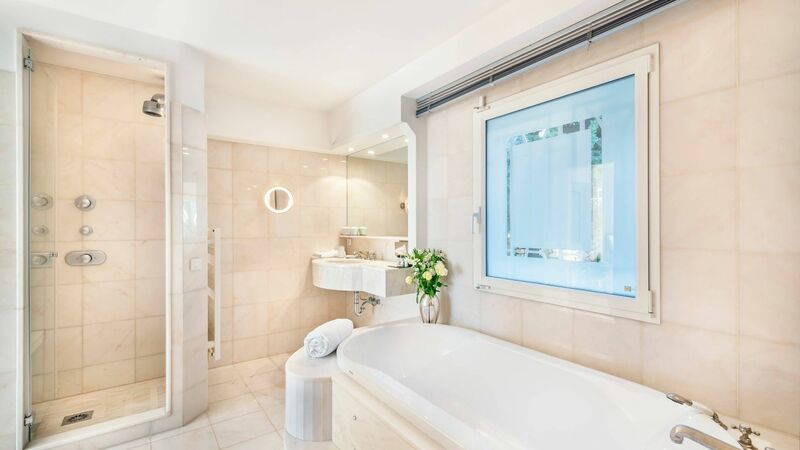 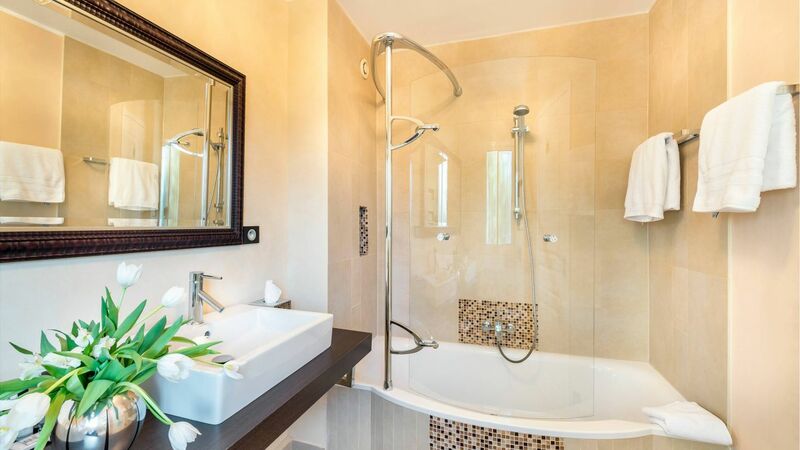 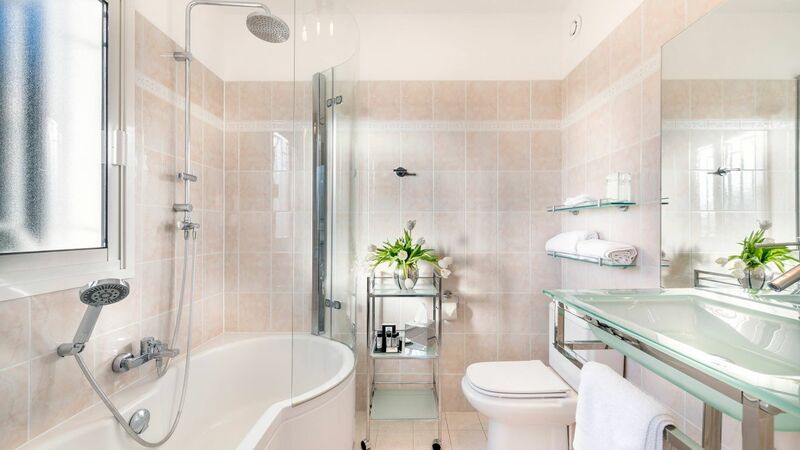 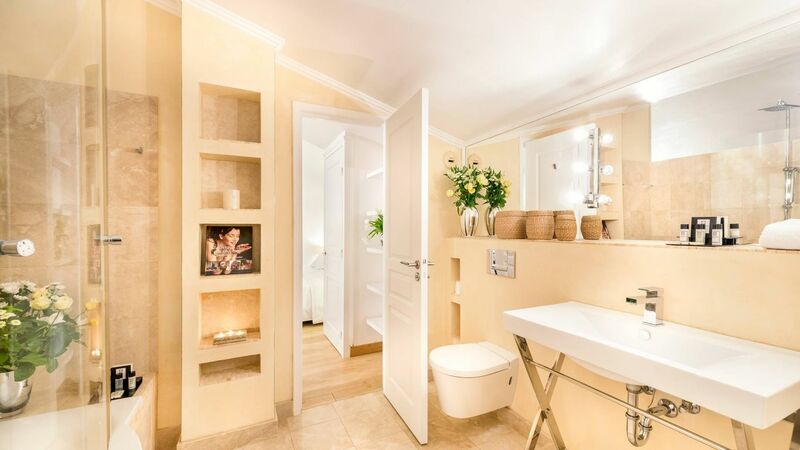 The French style villa has 6 air-conditioned bedrooms facing a spectacular sea view, each with its own bathroom. 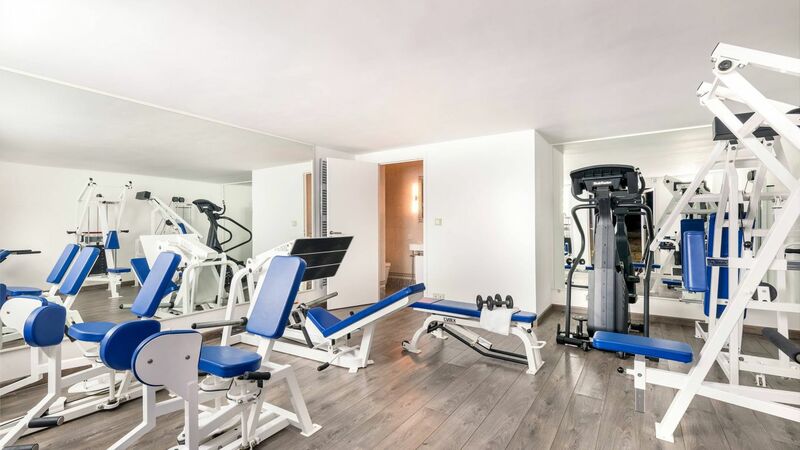 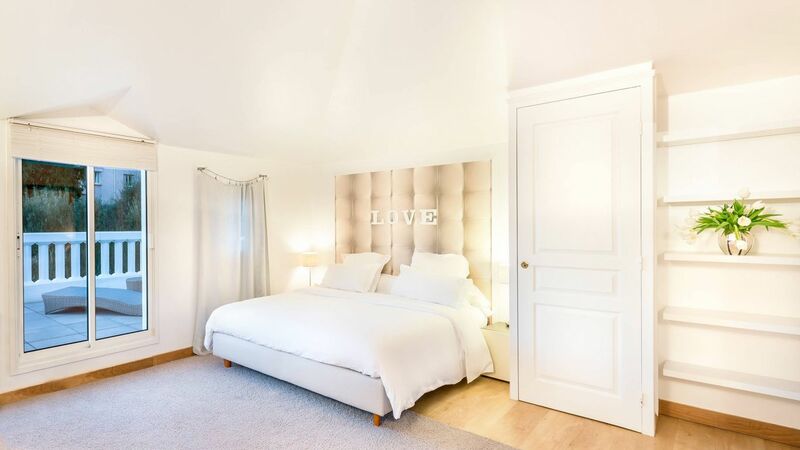 Amenities include wireless LAN, professionally equipped office, state-of-the-art appliances and a fitness room complete with exercise equipment. 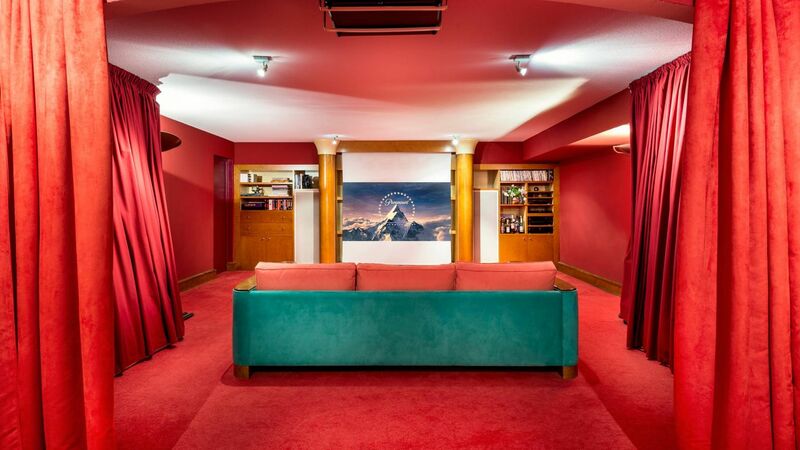 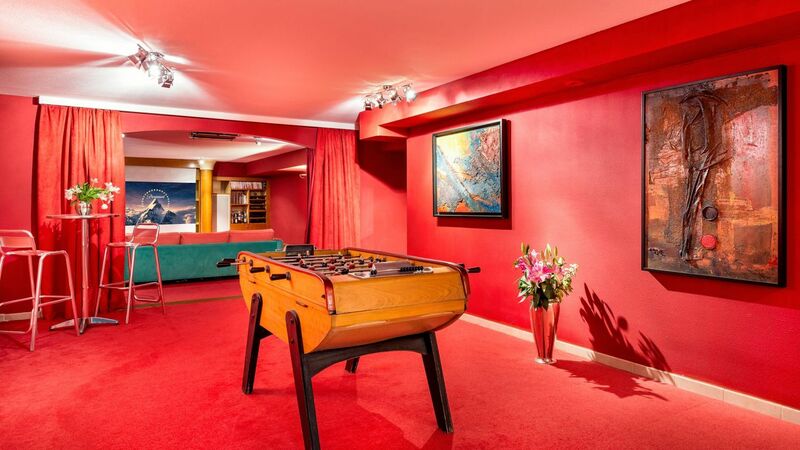 Another highlight of the villa is the crimson red game room and mini theater that sets them apart from the overall style of the grandiose mansion. 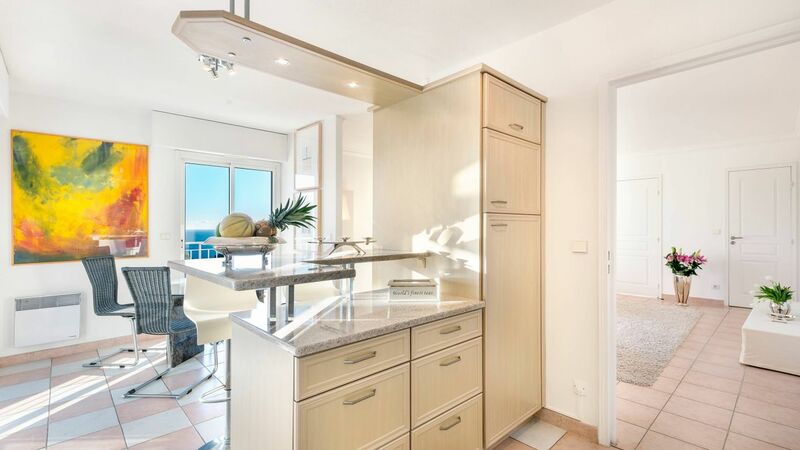 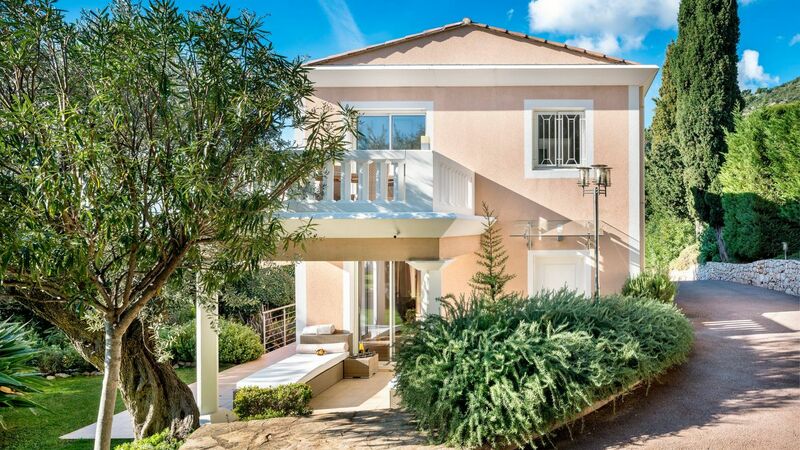 A separate guest-house is positioned next door overlooking the stunning views of the sparkling Mediterranean sea. 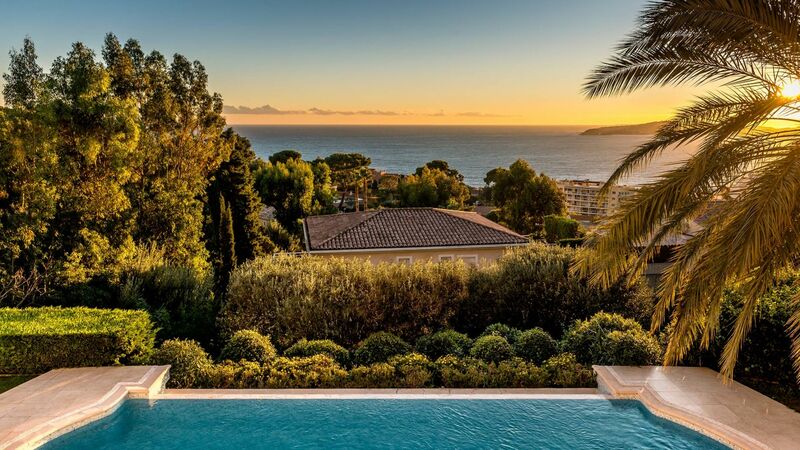 The large heated infinity pool on the terrace is also great for watching the sunset over the neighboring peninsula of Cap Ferrat. 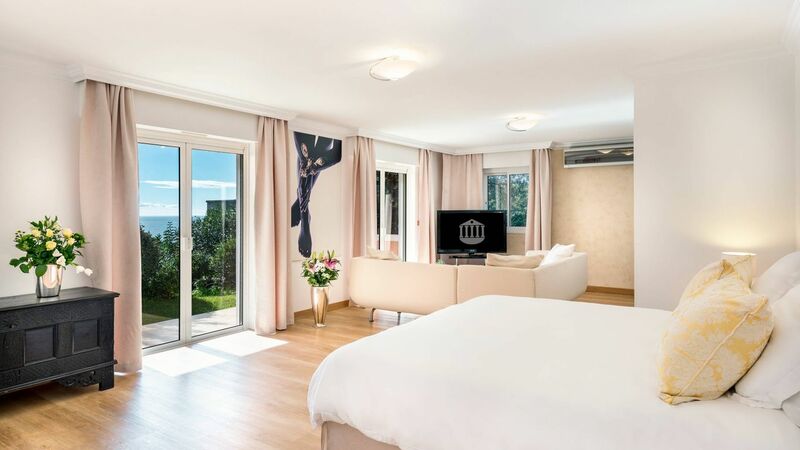 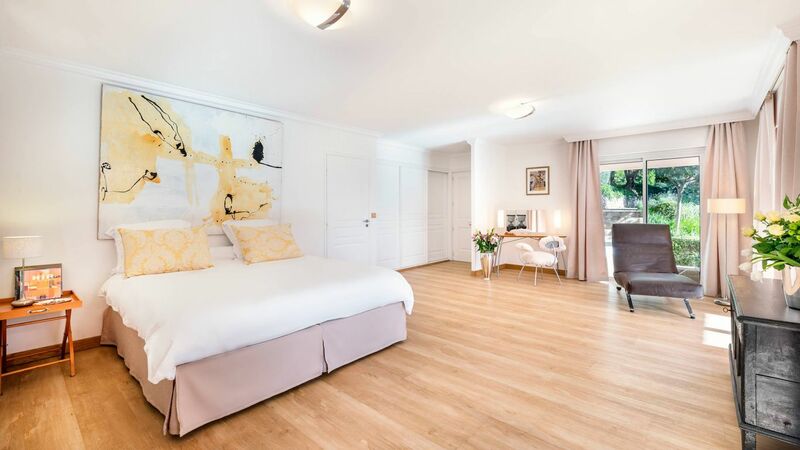 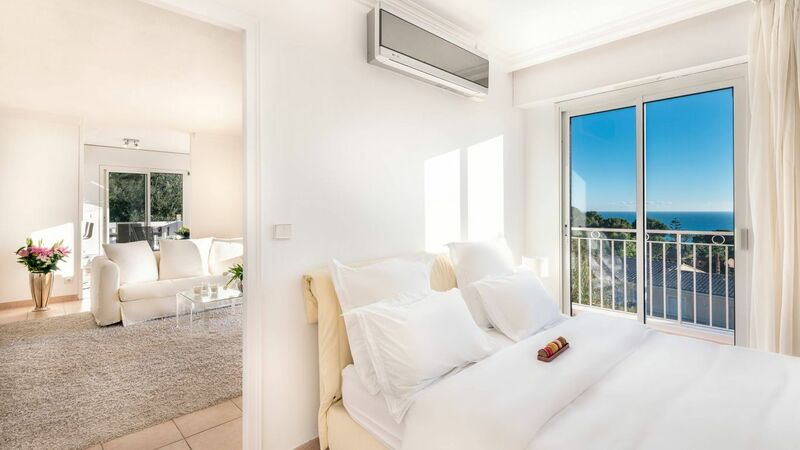 To make your stay even more unforgettable, you can make beautiful memories in the property's back garden or lay down under the sun on the patio as you revel in the panoramic coast. 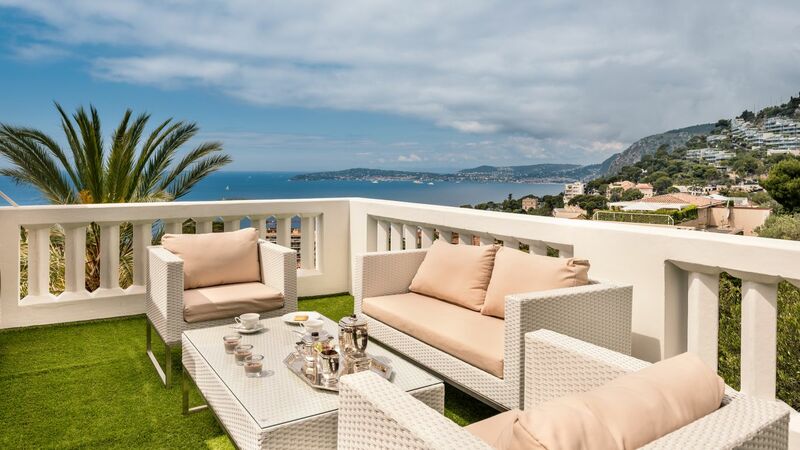 Cap-d'Ail is a commune in the Alpes-Maritimes department in southeastern France.It borders the district of La Colle in the Principality of Monaco. 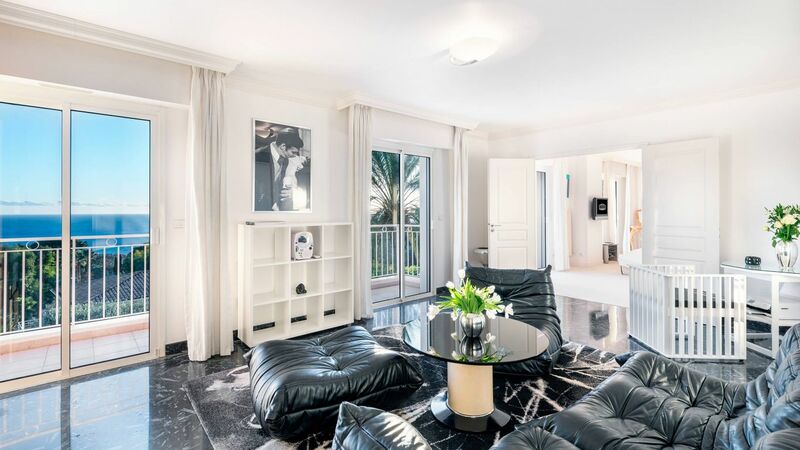 Modern Cap d'Ail is a modern seaside resort with a lively shopping district on the Basse Corniche and quiet, fashionable residential quarters. 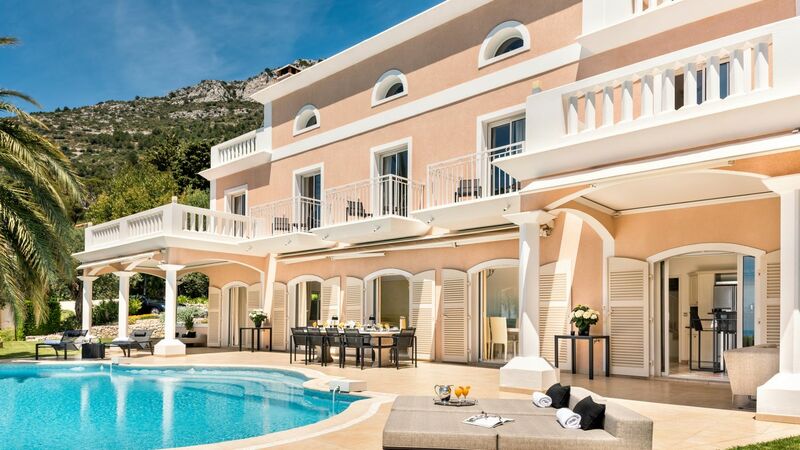 Many people who work in Monaco live here. 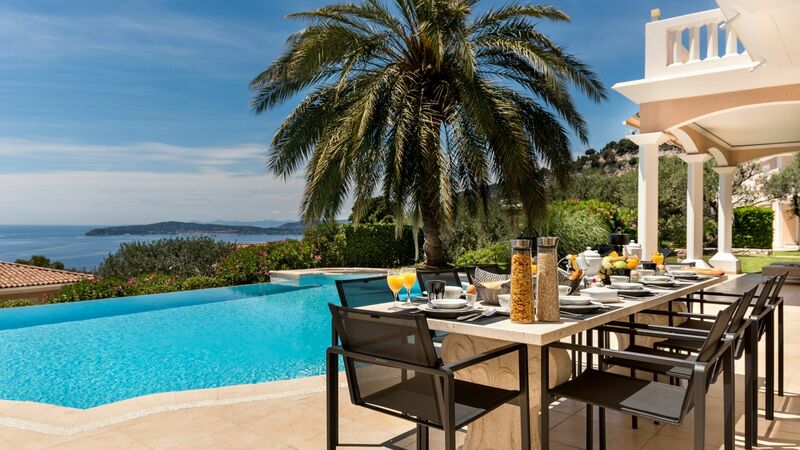 Plage la Mala is prized by many day trippers from Monaco and Nice.